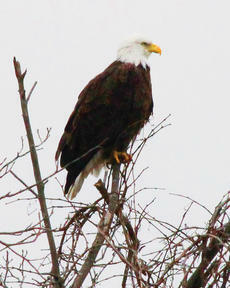 This Bald Eagle was seen in Washington County recently by a local citizen who reported it to The Springfield Sun. The location of the bird is not being released for its protection. According to Kate Hayden, an avian biologist with the Kentucky Department of Fish & Wildlife, there are only 84 pairs of nesting eagles in Kentucky. Among those changes is a new service and a new suite. 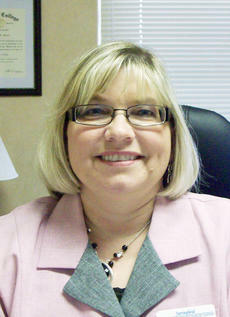 The Springfield Nursing and Rehabilitation Center has a new administrator. Debbie Gibson, a native of Willard, Ohio, has been on the job for the past week, and she said things are going well as she settles into her new position. Gibson and her husband moved to the area in 2005. They live just across the county line in Boyle County, and they moved here for her husband’s work with Toyotomi. A Washington County grand jury has returned indictments against seven individuals. • Howard James Craddock Jr., 50, and Lori Lee Baker, 73, both of Harrodsburg Road in Mackville, were indicted on six counts each in relation to a meth lab found at that address on Feb. 6. 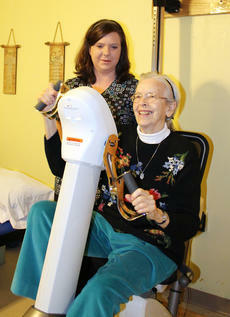 The staff at the Sansbury Care Center has been looking after the needs of its residents for years. Now, the center is offering services that extend beyond its own walls, and into Washington and surrounding counties. Laura Livers, occupational therapist and director of Sansbury Care Center Outpatient Rehab, said the facility received its license in August to provide outpatient services. Previously, the rehab center could only work with those within Sansbury. Growing up, Reuben Miller watched his grandfather make maple syrup, and he knew it was something he wanted to do some day. Miller and his family are members of the amish community, and they moved to Willisburg in 2010 from Zanesville, Ohio. The family farms the land around its home in northern Washington County, and Reuben builds portable storage buildings that he sells. 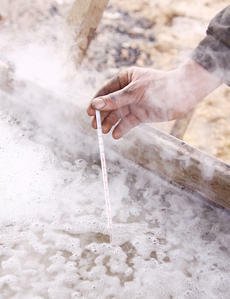 But this year, with the weather just right, he decided to take on a project he had wanted to do since he was a young boy — making homemade maple syrup. After missing 14 days so far this school year due to inclement weather, the Washington County School Board members voted Monday night to have classes in session the first two days of what had been scheduled as spring break. Following the decision, classes will now be in session on Monday and Tuesday, April 4-5. Students will still receive three days of spring break, and there will be no classes on April 6-8. A $100,000 grant coming to Washington County is intended to help students be more prepared for college. Kentucky Education Commissioner Terry Holliday has been calling on public school superintendents and boards of education to sign a pledge to improve college and career readiness in their schools. The grant coming to Washington County should be a big step in that direction, and the local school district is one of just six in the state to receive the grant. In an effort to encourage locating the new high school within city limits or, if not, annexation into the city, the Springfield city council plans to draft a formal letter to the Washington County school board. “I was just wondering if we as a council could write a letter to the superintendent and the school board that the mayor and the council encourage them to locate within the city limits or else agree to annexation,” city council member Lisa Haydon said.